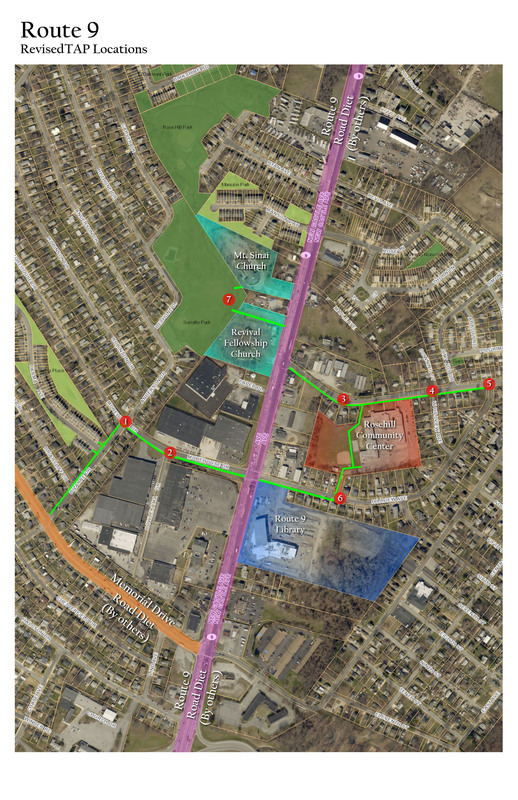 Monitoring Committee: April 23, 2019 at 4:30 pm in the Black Box Theater of the Route 9 Library. 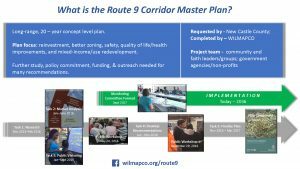 The Route 9 Corridor Master Plan has been endorsed by the WILMAPCO Council in May 2017. 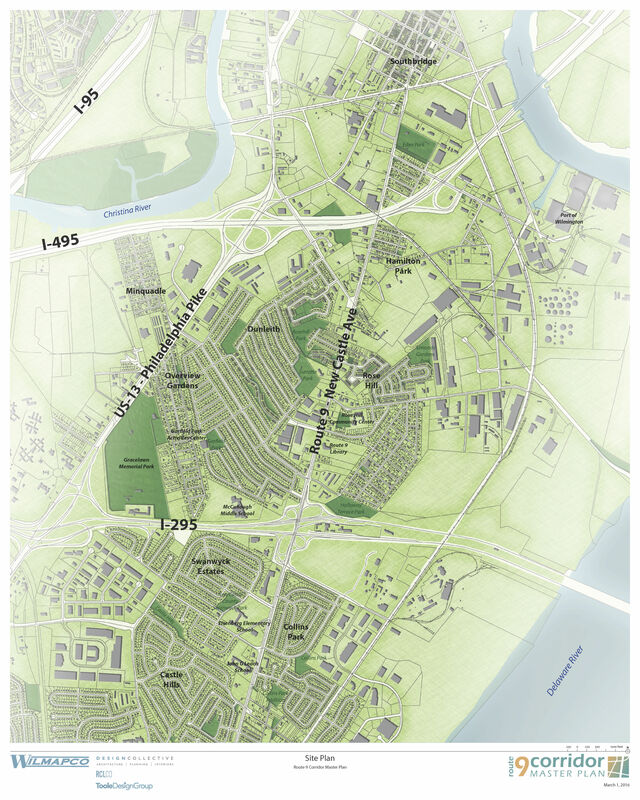 Click the cover image below to view the low resolution version (15mb) or view the high resolution version here (122mb). 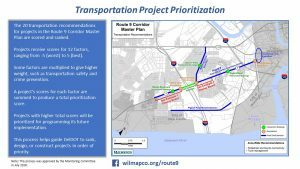 The Route 9 Transportation Project Prioritization was endorsed by the Route 9 Monitoring Committee in July 2018. 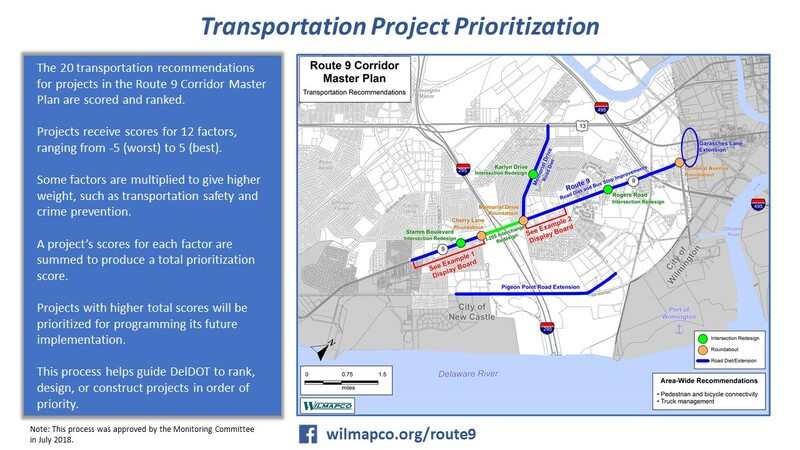 This process helps guide DelDOT to rank, design, or construct projects in order of priority. 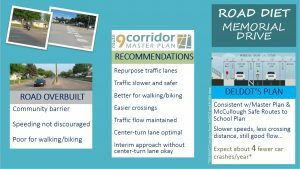 The mission of the Route 9 Corridor Transportation and Land Use Master Plan Monitoring Committee is to help guide and fulfill the recommendations of the Route 9 Corridor Transportation and Land Use Master Plan, which established a shared vision for the transportation and land use redevelopment of the corridor. 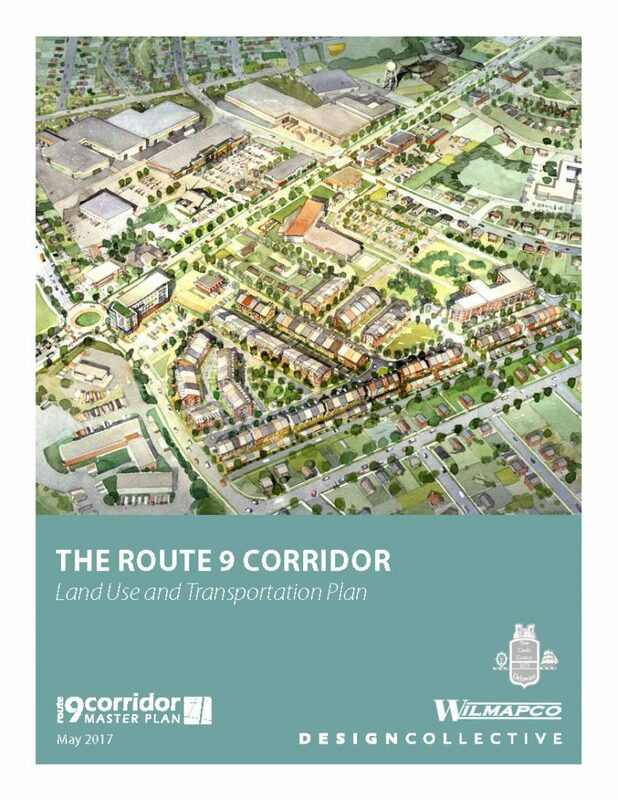 This work will be accomplished through a collaborative dialogue between its membership, which includes implementing agencies, local civic and community leaders, other key stakeholders, and the communities they represent. 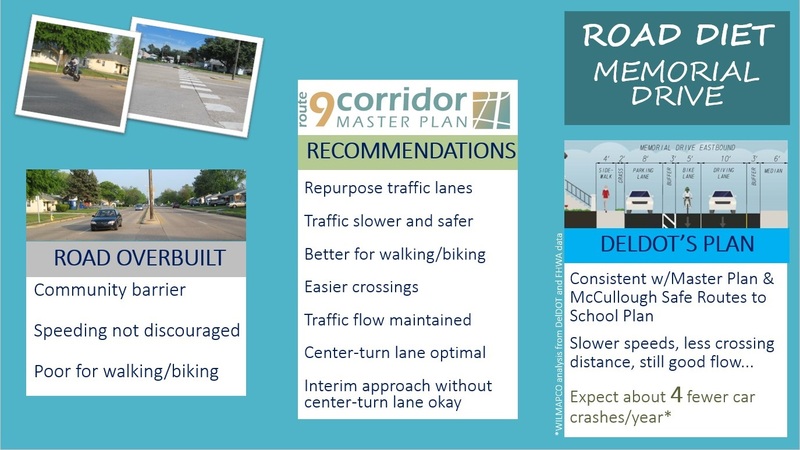 The Route 9 Corridor Transportation and Land Use Master Plan Monitoring Committee envisions the redevelopment and revitalization of the Route 9 Corridor through the implementation of the Route 9 Corridor Transportation and Land Use Master Plan. Note: Prior to May 2016 the Steering Committee was comprised of two separate bodies – an advisory committee and a management committee. Anyone who has questions or concerns about air quality are encouraged to call DNREC at (302) 739-9402. When reaching out to residents and business owners at events and community centers, we invited people to share what neighborhoods they live or work in. 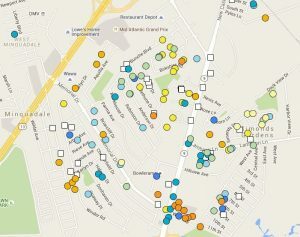 This interactive map shows which neighborhoods were represented at each outreach event. To view points for each event separately, use the checkboxes on the left side of the screen.